I used to spend quite a lot of time in Munich working on a multi-national, multi-role fighter aircraft program, so returning for this year’s Munich Satellite Navigation Summit stirred some good memories for me. Held in the opulent Residenz Muenchen March 25-27, the conference always has a special atmosphere that these historic 1385 surroundings convey to the attendees. The former royal palace of Bavarian monarchs, the whole complex has ten courtyards and 130 rooms. The summit was held in the Max-Joseph Hall, which took a little bit of work to find at first, wandering around the huge complex. One wing of the building hosts a theater, and the main hall is the primary concert venue for the Bavarian Radio Symphony Orchestra. Overall, this is a delightful setting. Munich is in the Southern German state of Bavaria, and Bavaria has taken a real interest in the promotion and success of Galileo; witness the extensive Bavarian booth at recent European and North American GNSS conferences. Germany has, of course, been one of the principle nations providing significant funding for Galileo from its inception. So with this backdrop, the summit brings together people involved with GNSS from around the world to report on the current status of GNSS and to relate how their participation in satellite navigation has progressed. 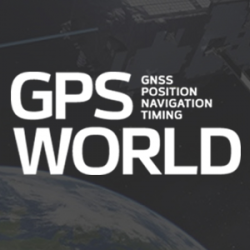 And, of course, Europe, Germany, Bavaria and the European GNSS industry, which is now recognized around the world, all take the opportunity to present their capabilities and successes. The plenary session on the first evening covered GNSS, Earth Observation (EO) and Telecommunications — with the panel headed by Ilse Aigner, Bavarian State Minister of Economic Affairs and Media, Energy and Technology — an extensive mandate, even for a state-certified engineer who used to work for Eurocopter. Dr. Merith Niehuss, speaking at the opening of the summit. (copyright: Munich Satellite Navigation Summit). The host of the summit is actually the University of the German Army in Munich, and we received a warm welcome from two leading professors: Dr. Bernd Eissfeller and Dr. Merith Niehuss, the president. The theme of the summit was to move from implementation to utilization, and in typical European form, all parties were looking to shower potential users with funded solutions to problems of which users are not yet aware — so users clearly need government-provided education, pilot projects and funding. Not exactly a North American concept, where we tend to encourage users to buy our innovative stuff by demonstrating how it can save them money or earn them more revenue. The European Commission, ESA, DLR, European GNSS Agency (GSA), Airbus, OHB, and Telespazio were also represented. The minister did indeed associate with and praise the local area, claimed 1,000 jobs created related to Galileo through an incubation center at Oberpfaffenhofen, and declared Bavarian support for satellite navigation. Other important things mentioned by the panel at the plenary included an €11B budget for Galileo/EGNOS and Copernicus (EO project) under the Horizon 2020 program, and an intent to declare Early Service for Galileo before the end of this year with two or three dual Galileo satellite launches — the first two FOC (production) SVs should go to the European launch center in Kourou in April in preparation for launch around June. I heard in a corridor that launches may be planned for June, October and December, but an EU spokesman later said that there would only be two launches this year. OHB now has the contract to build 22 FOC Galileo SVs, each with a design life of 14 years, and they are bullish on their ability to deliver on time and budget. GPS: It’s estimated that there are ~2B GPS receivers in use, and there may be ~10B by 2020. A return on investment (ROI) analysis is currently underway, but a rough guess is that costs are in the tens of billions, while annual returns are of the order of $60-100B/year. Another IIF satellite (SV) launched last month, bringing the total to five SVs transmitting L1, L2C and L5, with seven more to come, and multiple launches are expected this year. There are 30 operational SVs on orbit, signal performance significantly exceeds the specs, and consistent, dependable performance has been provided for more than 20 years. Galileo: First fix was achieved March 12, 2013, with four SVs, two (maybe three?) launches of two SVs each planned for 2014, and early operational capability to be declared by end of this year. €7B in funding is provisioned for 2014-2020, with 16-24 operational ground stations, Commercial Service (CS) planned by 2016 (more on this later), and a long-term evolution plan being worked up during this year. BeiDou: Fourteen SVs are on orbit — five GEO, four MEO and five Inclined Geosynchronous Orbit (IGOS) satellites, providing dual-frequency services. Thirty total SVs are planned, and the intent is to provide open, compatible, interoperable signals with other GNSS free of charge. There was not much other news to report, other than that China intends to invest significantly in BeiDou to keep improving services. United Nations ICG: Nine nations and European Union = International Committee on GNSS (ICG), with 20 other associate and observer States. Activities include GNSS compatibility/interoperability, GNSS enhancements, information sharing, and reference frames, timing and applications — lots of upcoming meetings and activities. WAAS: Phase IV is underway with GEO replenishment begun, introduction of L5 to replace L2, and replacement of obsolete component parts. One hundred GIII receivers were ordered with L1/L2C and L5 capability for delivery by September this year — and have capacity to also add Galileo. GIII receivers have already been fielded in six locations as part of initial integration testing. The Safety computer will also be upgraded starting this year. 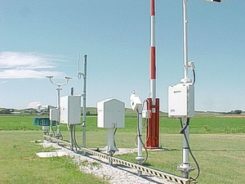 3,912 LP/LPV approaches have been approved, of which 3,379 LPVs serve 1,667 airports. GBAS CAT I is progressing with four U.S. airport installations. System design approval began in January this year, and United Airlines has begun equipping over 90 B737/B787 for GPS approach and landing. Alternative Positioning, Navigation and Timing (APNT) investigations are underway (as a backup to GPS) with a hybrid DME-pseudolite configuration currently favored. Stanford University subsequently presented this and other concepts. EGNOS: A €1.58B budget has been approved, and EGNOS V3 evolution is underway, with L1/L5 and GEO (SES 5 and Astra 5B) replenishment, a requirement to expand East and West and to the North to provide full coverage to all EU States. About 100 EGNOS LPV approaches are approved — this year, it’s hoped to add 150 more. QZSS: The operational concept has been proven with the first IGOS SV (Michibiki), so Japan is moving forward quickly to add another three SVs (3xIGOS and 1xGEO) and ultimately would like to have a total of seven SVs in orbit providing QZSS services. L1/L1C/L2C/L5 signals are identical to GPS, and L1s/L5s are augmentation signals, while L6 is proposed to be similar to Galileo E6, providing centimeter-level PPP-type service. QZSS essentially is intended to provide higher elevation satellites to improve urban navigation in dense cities. IRNSS: Coverage extends 1500 km beyond India. The target is <20-meter accuracy, and signals are in L5 and S band and can be used independently or in dual-frequency combinations. A second IRNSS-1B GEO satellite is scheduled to launch on April 4. GAGAN: The Indian SBAS was commissioned and certified in February this year with a number of ground stations, redundant uplinks and two on-orbit GSAT 8 and 10 GEOs. Gagan is now qualified to provide RNP0.1 (navigation accuracy to 0.1 miles). This session provided some detail on how changes in Japan’s Basic Space Law has lead to efforts to expand the use of space and derive further economic benefits that this provides. A collection of examples of Bavarian GNSS innovations followed in a very interesting session led off by an overview of Business Incubation Centers and their collaboration with government agencies and research centers. Small business start-ups are apparently encouraged to apply during four annual time-slots, and receive two years’ incubation support and cash incentives. This has lead to 81 new ventures and has apparently been the source of the 1,000 new jobs mentioned by the Minister of Economic Affairs. The annual European Satellite Navigation Competition and Galileo Masters competition have also generated a whole bunch of ideas and concepts (8,000), some of which have found support through this incubation process. Airbus Defence gave a short overview of the testing work it accomplished in supporting the first Galileo fix and has prepared several vehicle test platforms, ready to take the next phase of Galileo testing to the streets in realistic, real-world environments. Army University of Munich discussed radio science experiments in the Solar System and experiments using Mars Express (above) in polar orbit around Mars and resulting measurements of the moon Phobos. Internal and external outreach efforts with numerous organizations were also mentioned. IFEN provided more down-to-Earth information on the on-going activities at the GATE ground-based pseudolite range, which has enabled realistic outdoors testing of Galileo receivers, well in advance of signals from orbiting satellites. Recent testing has now been able to include the four operating Galileo SVs on orbit with GATE pseudolite signals. GATE will continue to evolve over the next few years to keep up as more Galileo orbital signals come on-line. Fraunhofer presented information on its 40-channel GPS/Galileo/GLONASS chip-receiver (above) – claiming 1-meter accuracy, low-cost, robust reliable position solution, small form-factor and low-power. Following PRS test-bed development efforts, Fraunhofer has now received a contract to also deliver 20 pre-operational Galileo PRS receivers for use in initial pilot projects. Vidal Ashkenazi, in his inimitable form, lead a panel discussion on interference, jamming (in particular Personal Privacy Devices, or PPD) and spoofing, and coaxed his panel members to provide a whole bunch of information on what’s being done, mitigation capabilities and potential enforcement. Unlike all the other sessions, Vidal’s panel members didn’t use presentations, but rather responded to wide-ranging questions on the subject from the session chair. David Turner, representing the U.S. State Department, indicated that the ICG will meet shortly in Geneva hosted by the International Telecommunication Union (ITU) to focus on interference, jamming and mitigation. The recourse that nations have for use of PPDs by their people is the law — jammers are illegal, sale and purchase of them is illegal — however, Internet sales are very difficult to police. So detection and mitigation are required to find and shut them down. Dave’s presentation on the GPS.gov website indicates that the ICG is working on an education program for states to inform about GNSS sensitivity to interference and the threat to critical infrastructure if they are allowed to operate. The ICG also has a task force on detection, reporting and systems development. ISRO indicated that PPD jammers in India are restricted, but permitted for gatherings such as at churches where personal safety may be an issue. Ground-based detection is needed, as well as stronger legal protection that may well prohibit use of PPDs altogether. Japan Aerospace Exploration Agency (JAXA) indicated that it is working on “signal proofing” for QZSS. BeiDou said it is building a monitor network in China that will detect jamming. There was a general discussion on whether receiver manufacturers should be mandated to make receivers that are resilient to jamming – many thought that there have already been significant advances in that direction by manufacturers. The normal approach would be to develop requirements with industry, agency and user inputs, publish them, and call up the requirements in equipment specifications. In the U.S., the Department of Homeland Security is seeking an approach to detection and location. While the audience may have had high hopes that the legal eagles could come up with some magic prevention and prosecution solution, the next session was more of a legal background briefing without any concrete conclusions (quite similar to other discussions I’ve had with some lawyers in the past, actually). The first briefing was from the European Commission/European Union, who indicated that the EU doesn’t own the frequency rights to Galileo (Oh Oh…). They have to operate through a member state, which gets the rights through the International Telecommunication Union (ITU) and then licenses use to the EU — the bottom line being that EU enforcement of jamming protection laws maybe be difficult, as the legal framework only exists at the national level for each state. The EU is trying to get recognition under another class of ITU membership. EU regulations were presented that state that GNSS re-transmitters can only be operated legally by governments or government contractors. Or can be used indoors for indoor navigation, but only for emergency services at fixed sites which are pre-approved. Pseudolites can only be operated indoors, and there should be no interference to other systems. Jammers are forbidden and cannot be placed on the market for sale. Eurocontrol had a lot to say about the impact on aviation navigation infrastructure and receivers on aircraft. Existing ground nav aids have limitations, the worldwide equipment infrastructure is becoming quite old — aviation has generally moved away to GNSS and inertial based navigation and uses ground navaids as backup. There is a conflict between regulating GNSS heavily for aviation and how people want to use it in the commercial world. We may have to consider a trade-off between heavily restricted GNSS operations, and wide open commercial GNSS applications. David Sobel, from Electronic Frontier Foundation in the U.S., presented the contrary case for individual privacy. His argument is that sale of tracking devices is unregulated and can readily be purchased, so people may presumably use them to track others, thereby infringing their privacy. So why shouldn’t people be able to “defend their privacy” by use of PPDs? Say an employer insists that a vehicle you are driving have a tracking device so he knows where you are. Isn’t the driver also justified in trying to protect his privacy? Since the police in the U.S. can no longer place tracking equipment on suspect vehicles without a warrant, tracking appears to be down to private individuals or companies, who it would appear, have the legal ability to attach tracking devices under most circumstances. So the argument goes that if people have a legitimate concern about privacy, there should be acceptable provisions to allow them to disrupt tracking. If there is a service such as road tolling, there is an incentive for people to avoid these costs. So systems should be robust enough to avoid disruption. Enforcement is a problem — should police chase people they suspect have jammers, or should they rather chase criminals or help and protect citizens? Mitigation systems need testing, so to test these systems there has to be jamming transmission — which needs to be controlled and regulated. Restricting the import of bad devices into a country might be desired, but the manufacturing countries don’t tend to want to restrict exports as exports help their economy. Again, the argument seems to be that of personal privacy over potential risks and damages to society. No solutions, but a healthy discussion of views from a legal perspective. The group discussing PPP options consisted of the GSA (charged with exploitation of Galileo services), several principle industry service providers of PPP, and the federal agency, which provides PPP-like services in Germany. The GSA presented its ideas concerning the provision of high-accuracy PPP corrections over the Galileo E6 signal – the so-called Commercial Service (CS). The intent, however, would not be to disrupt the commercial marketplace. Nevertheless, GSA is proposing a public-funded service to be sold to users within a market that is already well served by commercial worldwide service providers who charge users for cm-level PPP service. And while Trimble made a polite presentation on the many levels of capabilities of its TerraSat services, as did Veripos and to some extent Fugro, it was clear that the commercial providers are not eager to find competition in their market from a government entity. NovAtel also chimed in on this conflict as it will be involved in Veripos/TerraStar, following its acquisition by Hexagon. Fugro appeared to be interested in acquiring rights to distribute CS on behalf of GSA. The German Federal agency promoted open data, source and standards from the IGS network to which it contributes: IGS is supported by numerous national agencies around the world. Orbit and clock PPP service is available 24/7 from multiple sources. However, the service is offered on a best efforts basis without a service guarantee, and cannot achieve the accuracies or convergence times of commercial services. I talked subsequently with Michael Ritter, CEO of NovAtel, to learn the background to the Veripos/TerraStar acquisition. It’s clear that providing PPP services means added value to NovAtel when they sell receivers with PPP capability, so they will quickly discontinue offering Omnistar subscriptions and will shortly launch NovAtel Correct, offering Veripos (marine) and TerraStar (land) PPP subscription services. NovAtel is making significant inroads in the agriculture segment, and they see PPP service as an essential element of this and other businesses. The acquisition was worth something on the order of $200 million, so there is a vested interest in making these services pay and discouraging GSA entry into this market. Veripos will continue supplying other GNSS OEM receiver manufacturers — notably Septentrio, who use TerraStar services, now also NovAtel, and potentially another major GNSS manufacturer. Chaired by Greg Turetzky of Intel, this session opened the third day of the Summit. The presenters offered their concepts for current and future GNSS equipment and systems. Stanford University outlined its work with FAA on an alternate PNT system to be used as a back-up to GNSS. It used to be that GNSS systems were designed to overcome space-weather effects and faults in equipment design or manufacture — nowadays, there are “bad guys” out there and we need to “protect, toughen and augment” these systems. Antennas can be built that impart a specific signature to the signals they transmit, and this may aid in finding and prosecuting the bad guys, but the main focus of work is development of a hybrid system using Distance Measuring Equipment (DME) and a pseudolite. Tests have demonstrated good performance, and these prototype efforts could lead to aviation requirements (MOPS) development by 2018 and deployment by 2020. Septentrio has been involved in Galileo since it began and was the first company with Galileo receivers. Nowadays, they have receivers fielded in multiple commercial applications, including machine control, maritime, aviation, automation, and measurement, delivering accuracies from a meter down to a centimeter. They will add E6 to their AsteRx family of multiple-channel, multi-frequency, multi-constellation receivers, and have developed a number of hardware and software mitigation techniques to combat jamming, interference and multipath, and to integrate receivers with inertial units for aiding. Furuno is interested in resilient PNT for marine applications, and has examined the use of eLoran as an alternative to GPS, but has moved towards a system of radar beacons that detect radar pulses from passing ships and transmit their positions, enabling position determination. In tests, accuracies of around 2 meters have been obtained with two beacons. Quascom’s approach is to add firewalls inside receivers, which toughen the processing and prevent distortion of position information. Quascom believes this will be necessary until authentication can be added into the GNSS system itself, so that any data received is validated and is known to be good. Chris Rizos from the University of New South Wales, Australia, drew attention to the “holes” that exist in GNSS, and reviewed a number of possible “Band-Aid” fixes, such as Wi-Fi especially for indoor location. However, his solution seems to be to establish terrestrial networks transmitting GNSS-like signals. Eurocontrol indicated that aircraft currently use inertial and DME extensively as a back-up to GNSS navigation. By 2030, there will be multiple constellations, and dual-frequency use should become commonplace in aviation, so GNSS navigation should be much more robust. Aircraft approaches are required to be in conformance with Required Navigation Performance (RNP), so would it be possible to develop RNP procedures for DME and inertial to be used as back-up during approaches in the event GNSS is disrupted? To conclude the session, Airbus provided a “starter course” overview on inertial systems – how they work, the range of different types available, what they can achieve, costs, strengths and weaknesses and integration with GNSS. Unfortunately, my deadline didn’t allow me to attend these equally interesting presentations. There is also a manufacturers’ exhibit area at the summit that just fits into a couple of corridors near the main hall – around 20 booths. I talked with several of the manufacturers, including Spirent who has launched its latest GSS9000 multi-frequency-constellation simulator, with a four-fold increase in system iteration rate over the previous model. Exhibitors appeared to be pleased to be at the summit and by the level of interest shown by the attendees.